Can’t think of anything fun to do this weekend with your friends? Visit the local parks! There are nine parks in Bellbrook/Sugarcreek that are full of awesome opportunities for photo taking and fun walks with friends! located: 57 North Main Street, Bellbrock Park is the center of our historical heritage and the Bellbrook Museum is located across from the park. 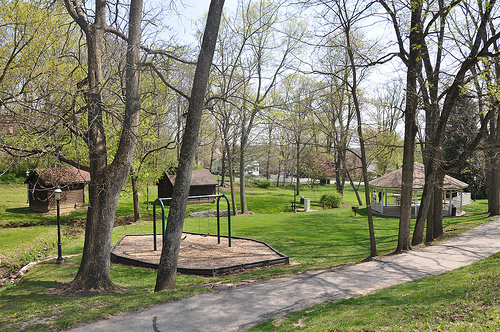 Bellbrock Park was deeded to the City of Bellbrook by Evelyn Brock in 1963. In 2011, the City of Bellbrook turned over property ownership to the Bellbrook-Sugarcreek Park District. Bellbrock Park at one time was the site of the Magnetic Springs Hotel. located: 1820 Little Sugarcreek Road, Magee Park is located in the City of Bellbrook on Little Sugarcreek Road between State Route 725 and Possum Run Road. 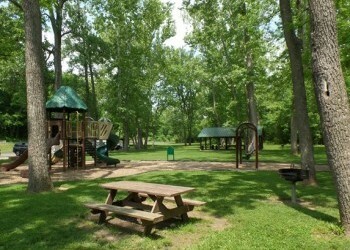 Magee Park is 4.3 acres, partially wooded and bordered by the Little Sugar Creek. located: 3771 W. Franklin Street, Perrakis Park is located in the City of Bellbrook at the corner of State Route 725 and Vemco Drive. There are two basketball courts, two tennis courts, picnic shelter and picnic tables and BBQ grills. There are swings for children adjacent to the picnic shelter. Petrikis Park is also home of the Veteran’s Memorial and Petrikis Gardens. located: 1730 Sonoma Court, Ron Kehl Park consists of 9 acres, partially wooded with a small stream and currently provides a variety of recreational activities. The park offers a children’s playground, basketball courts, baseball backstop, covered shelter with picnic tables, natural path through wooded terrain and a paved path for the avid walker. located: 2751 Washington Mill Road, The Robert E. Gooding Addition is owned and managed by the Bellbrook-Sugarcreek Park District and adjoins the Bellbrook-Sugarcreek Community Center. Access to the trails is adjacent to the community center and parking is available at the community center for hikers. located: 3371 State Route 725, Sackett-Wright Park is 54 acres of flat, open area and is located just east of the City of Bellbrook on State Route 725. There are numerous soccer fields, two football fields and t-ball, little league and regulation baseball fields. The park has two picnic shelters complete with BBQ grills and picnic tables. located: 789 Little Sugarcreek Road, Sweet Arrow Reserve the newest addition to the Bellbrook-Sugarcreek Park District park system. The land was acquired by the Park District in 2013 from the Dille Family. Sweet Arrow Reserve is currently the largest park managed by the agency, consisting of nearly 250 acres of woodland, prairies and meadows. Trails are in the development stages and currently marked by orange stakes. located: 3311 Washington Mill Road, Washington Mill Park is a 35 acre facility that is flat open area. There are numerous lacrosse and soccer fields in Washington Mill Park as well as a picnic shelter, picnic tables and a BBQ grill. located: 4178 Conference Road, Sugarcreek Metro Park has three 550 year old oak trees, a tall grass prairie, woodlands and scenic Sugar Creek beckon visitors. Although much of Sugarcreek’s 618 acres were once farmland, MetroParks land management practices and natural processes have resulted in a variety of habitats. These support diverse wildlife that can be discovered as you hike, horseback ride or enjoy a leisurely picnic.